Race For The Arts Celebrates 21 Years Of Benefiting California Arts! Grab your running shoes, friends, family, co-workers, neighbors and join the fun! Race for the Arts is for everyone – the serious runners (5K timed by B-tag) and for the casual runner/walker. Run, walk, jog or jeté along the racecourse in Sacramento’s shady William Land Park. Entertainment throughout the racecourse and a FREE Arts Festival – What’s not to love? Come out for the Race and stay for the Free Arts Festival with food, hands-on booths and plenty of entertainment. 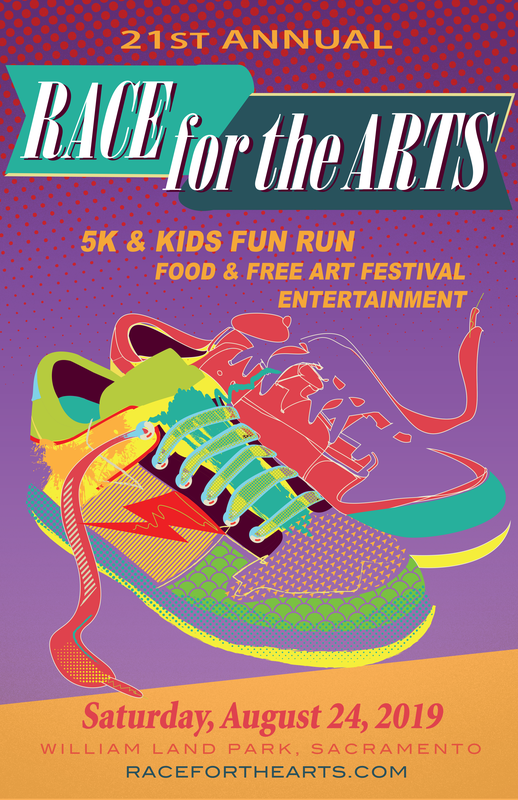 Race for the Arts raises funds and awareness for California nonprofit visual, performing, cultural, literary and culinary arts organizations, and school music, drama, literary, art and culinary arts programs.